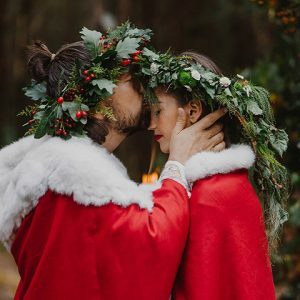 As we reach the mid-point of the week I am taking off to the Scottish Borders for this beautiful Pagan wedding. 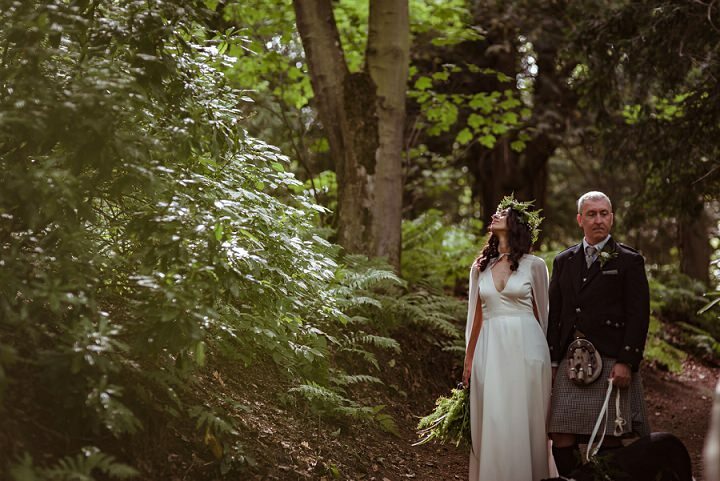 Pagan weddings are legal in Scotland, which is why Ally and Dave chose to get married there. 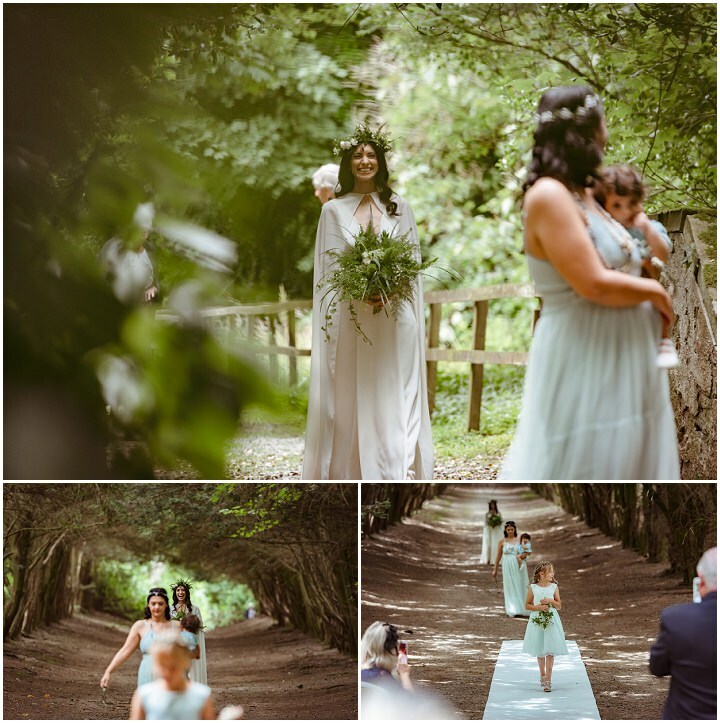 They are both huge nature lovers so they wanted to hold their ceremony in a woodland location, surrounded by trees and the open air. 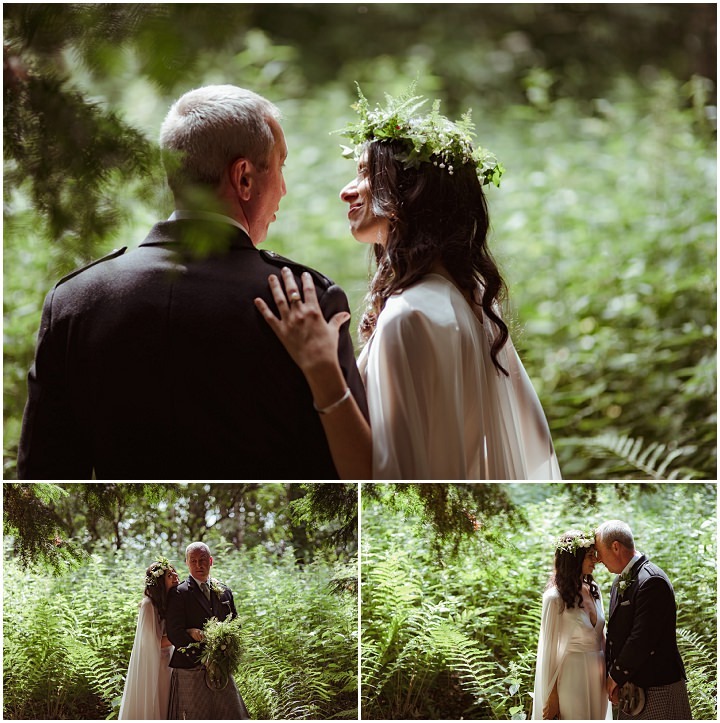 The results are this intimate woodland wedding, filled with pagan traditions, the most gorgeous flower crown worn by Ally and her stunning Charlie Brear gown with stunning cape. 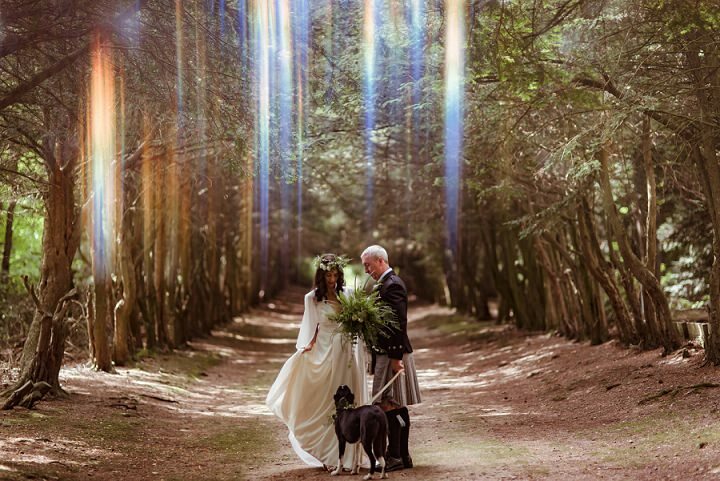 The day was captured perfectly by Mark Timm whose use of the Scottish sunlight is breathtaking. 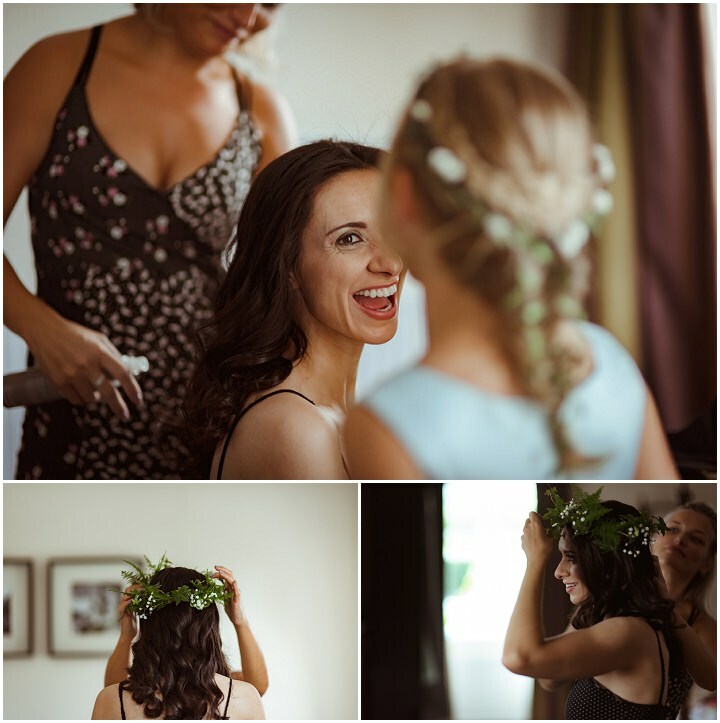 Our wedding day was filled with love, friendship, drinking and football. It was the most special day of our lives. 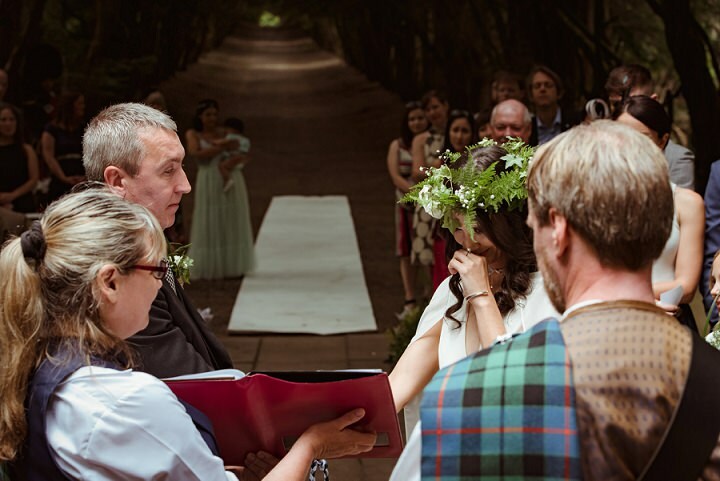 Ally and Dave were married on 7th July 2018 at a Pagan Altar, Barony Castle in the Scottish Borders. ‘Ally is a forester and loves trees and Dave is also a nature lover. 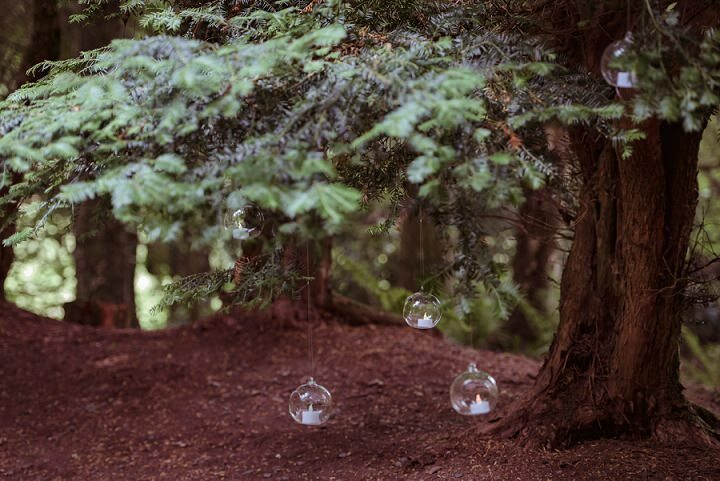 We spent a great deal of our courtship strolling in forests hand in hand. We once drove from our home in Northumberland to the Scottish borders in autumn a couple of years ago and the drive, lined by trees, was so beautiful that Ally started crying. 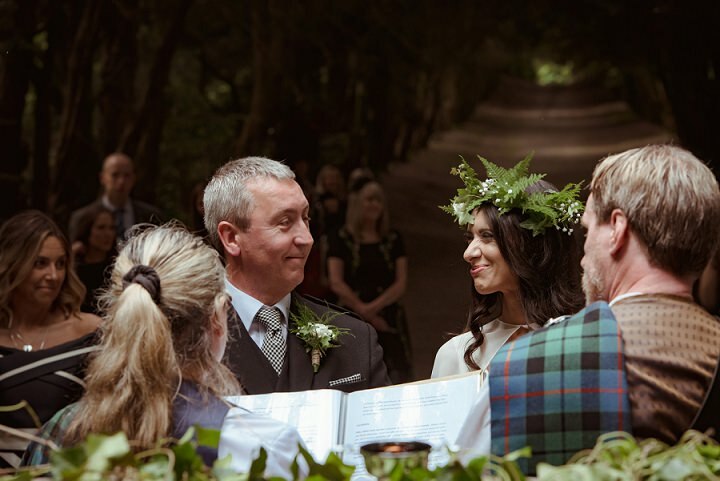 That’s when she knew she wanted to get hitched under a canopy of trees in Scotland so that the union would be blessed by nature. 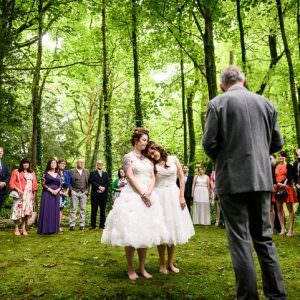 Paganism venerates nature and pagan handfastings are legal in Scotland and incorporate nature within the ceremony. When we found this old pagan altar at Barony Castle in the Scottish Borders, we knew we had hit the jackpot. 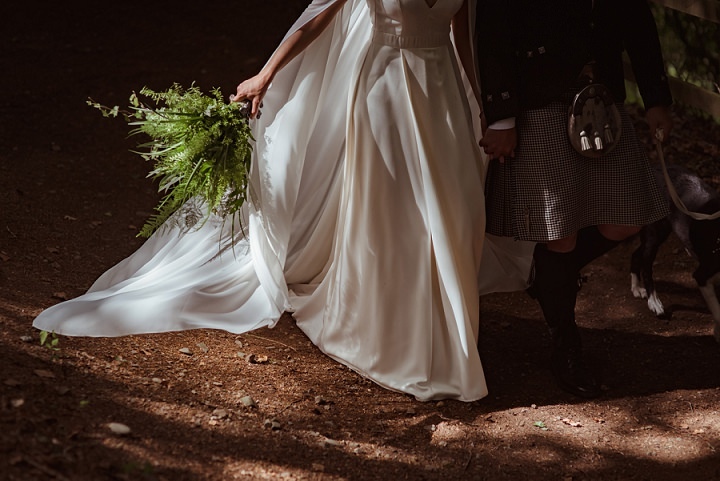 We worked with our Celtic pagan celebrants, Kara and Pall Thormod Morrisson, and ended up incorporating old Celtic customs like the handfasting, drinking of the loving cup or cuaich and jumping of the besom in the ceremony. We both worked at the same non-profit organisation in Washington, DC. It was instant soul recognition for both of us and a whirlwind to boot. We have been together eight years. I was involved in a car accident in December 2016 where I broke my leg very badly and was told it would take me over a year to walk again. I realised lying in the hospital bed that this man was always there for me rain or shine and I knew I wanted to be bound to him for life so I told him I wanted to get married. Fast forward three months, he comes home on Valentine’s day with a big bouquet of flowers and proposes to me in Greek (I am part Greek) while I lay on the couch with my broken leg. He proposed to me with a big £1 plastic ring from Tesco. He told me it was a spur of the moment decision! 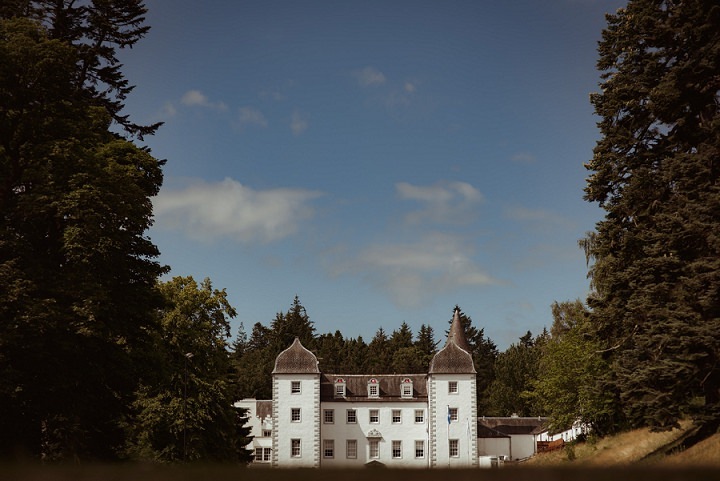 Barony castle had a great affordable package. They also had an amazing wedding coordinator that helped us plan and organise the wedding. 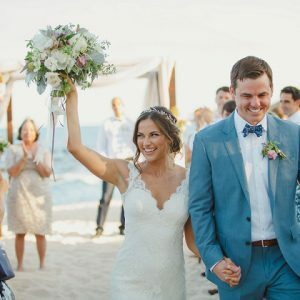 We loved that everything was done at just one venue. 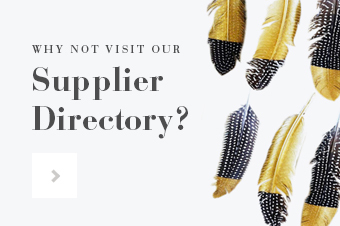 They also recommended a number of supplies so we wouldn’t have to waste time searching for trusted suppliers. 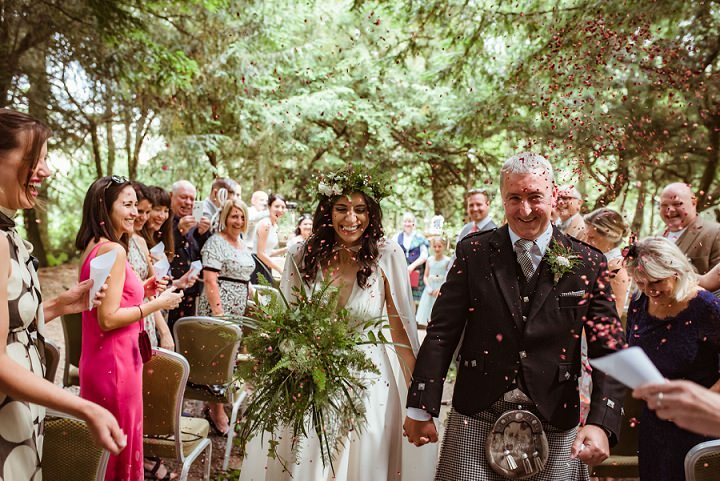 We knew that we didn’t want to spend for than £10,000 on the wedding. We splurged on the photographer, the flowers, the celebrants, the alcohol (we had an open bar) and Ally’s dress. 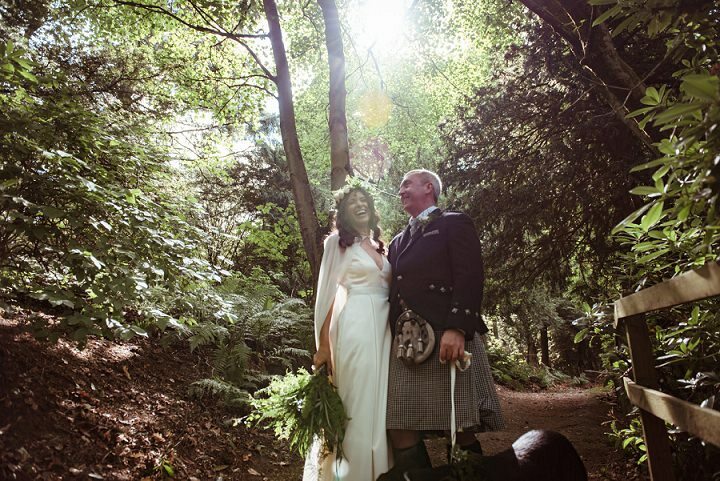 Dave ended up renting a Northumbrian tartan kilt, which was much cheaper than renting a suit (plus he looked amazing). 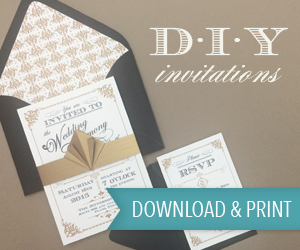 Ally used her diy skills and put together the guests’ welcome bags and the confetti cones. We also didn’t have any bridesmaids or groomsmen so that helped keep costs down. 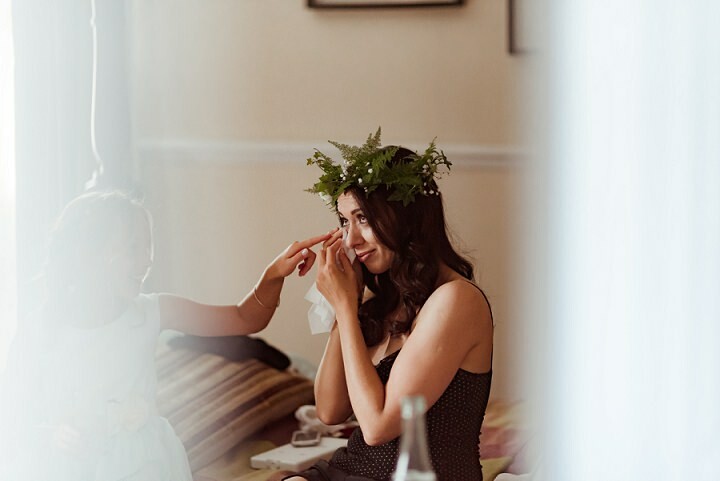 The photographer was priority number one for the wedding. 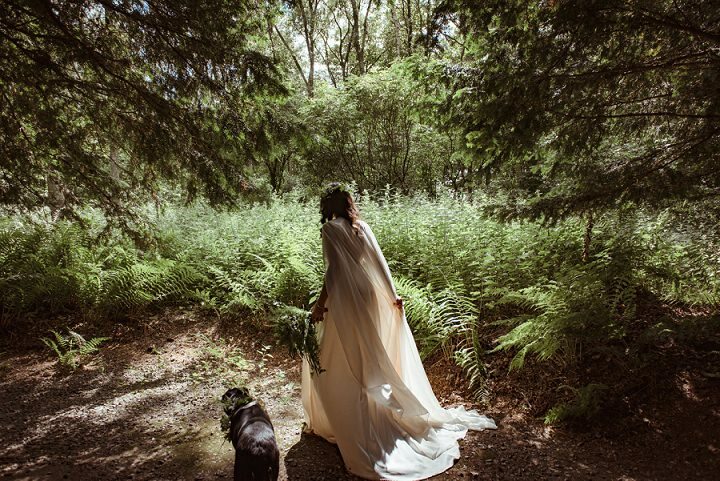 Ally knew she wanted to get married in a forest so she needed a photographer that could capture the low light conditions of a forest in a creative way. 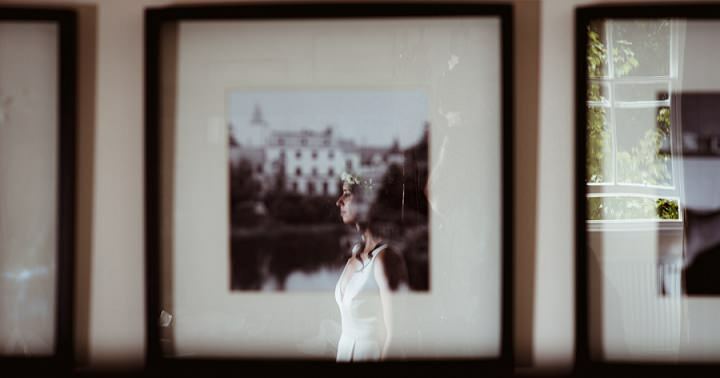 She loved the way Mark played with light in his pictures – the pictures looked bright but also romantic and moving. He was amazing on the day. He really does deserve the title of photography ninja! Ally loved the lord of the rings books and movies and was obsessed with Galadriel. She knew she wanted to look like a forest nymph so the dress needed to flow and go well with the forest theme. 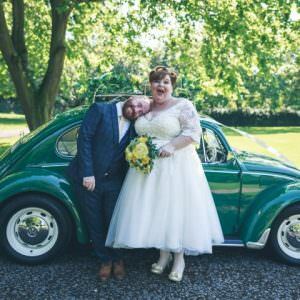 Once she could walk again, she went dress shopping once to a boutique in Jesmond, Newcastle (marrime bridalwear) and her dress was the second dress she tried on. A really simple dress by Charlie Brear. The cape was from Ebay – Ally actually ended up dyeing it using tea bags! And the shoes were from Debenhams. 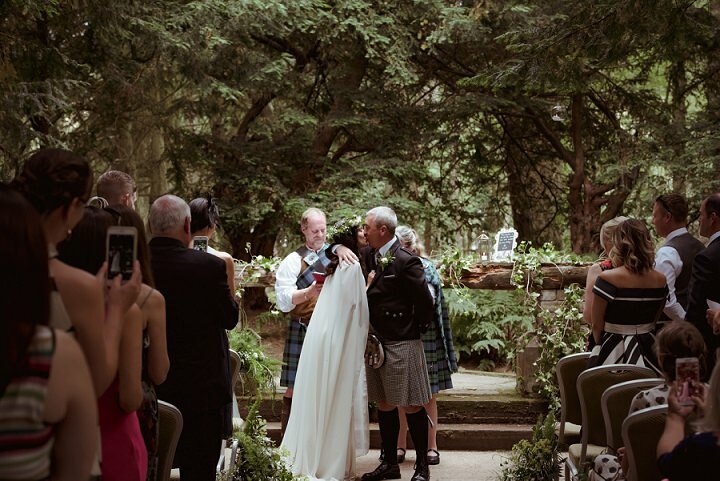 The Northumbrian kilt was a hire from Northumbrian kilt store – Dave’s family is from Northumbria so we were thrilled that there was a tartan for the area! 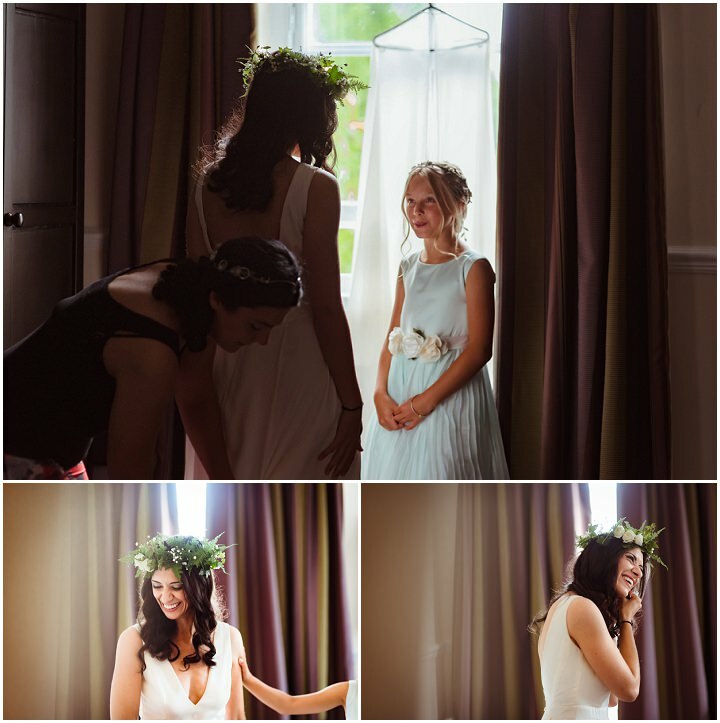 The maid of honour’s dress was from Little Mistress and her crown was from Etsy store “Le Coffret de Melusine”. 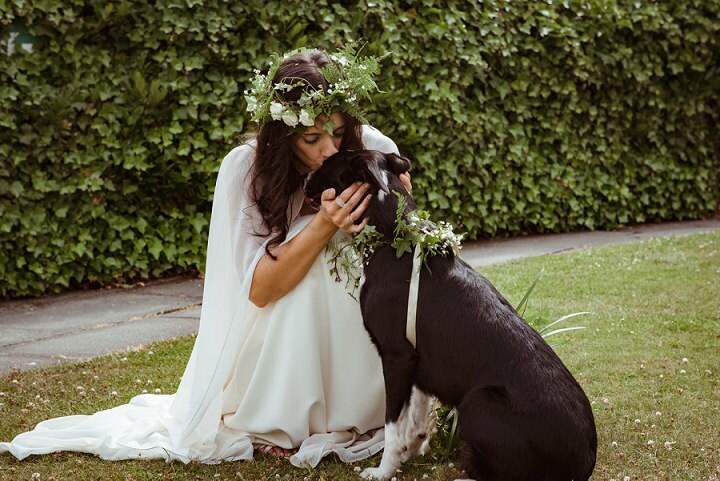 The flower girl’s dress from Monsoon and her flower crown from Etsy store “Scribble Tiger”. The theme was green, white and gold. 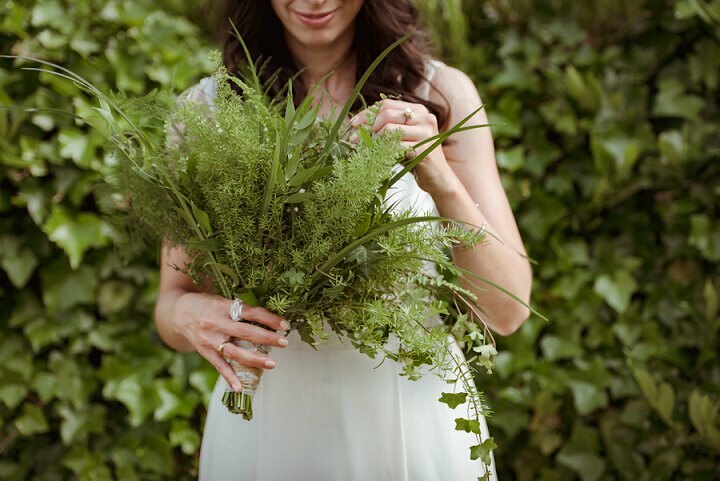 Because of the forest theme, Ally wanted Scottish local greenery to be used like ferns and ammi, gypsophilla, ivy, mix of greens and spray roses. 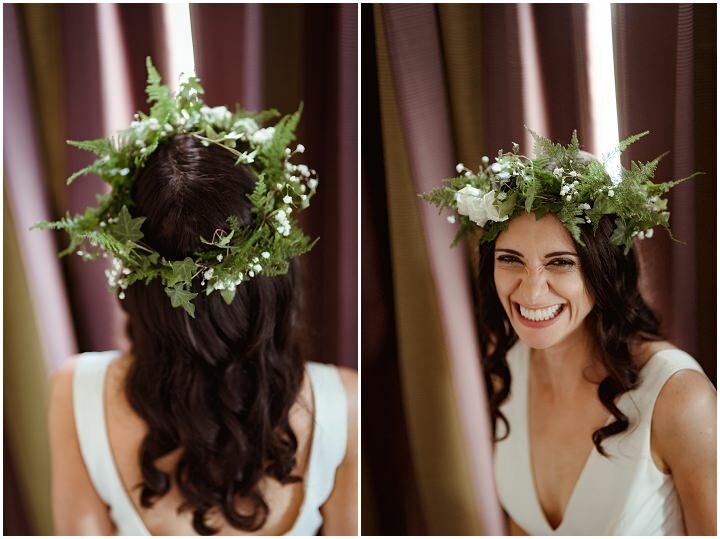 She asked her florist, Myra from Scent of Ginger, to make a big bushy woodsy bouquet and flower crown to make her look like a forest nymph. 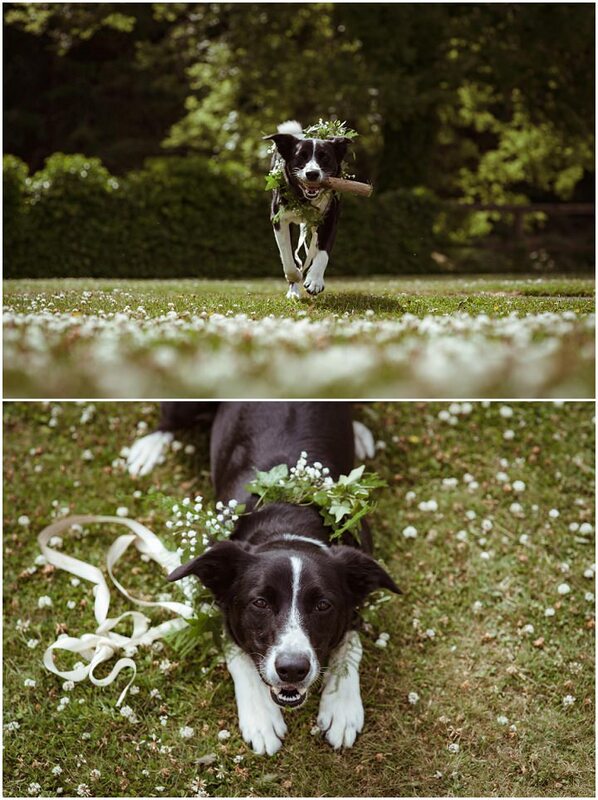 She also had a flower collar made for her most important bridesmaid, her pooch Abby! Myra from Scent of Ginger provided all the flower decorations for the ceremony grounds and the reception trestle table. 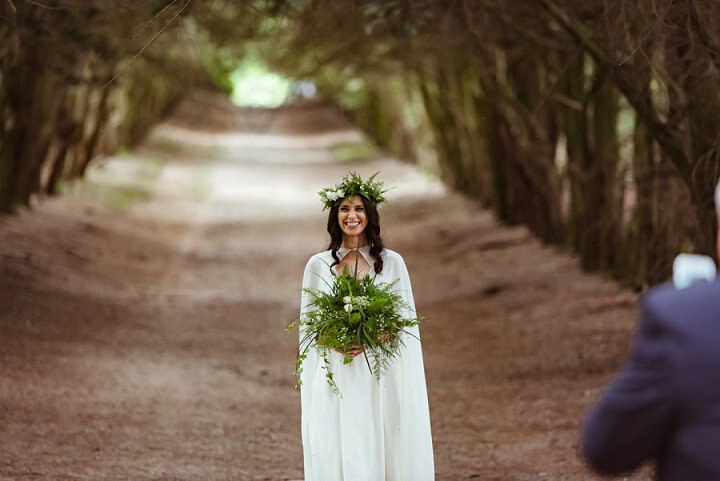 Her flower decorations transformed the altar ceremony grounds into a magical place. 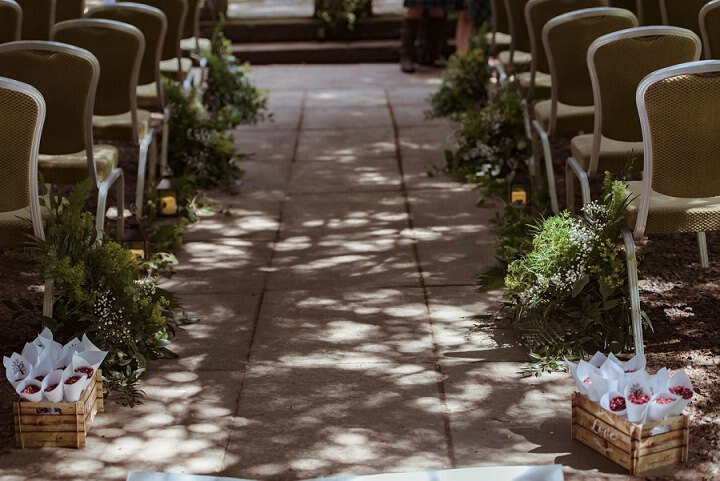 The aisle runner and chair decorations/sashes were provided by Beautifully covered. 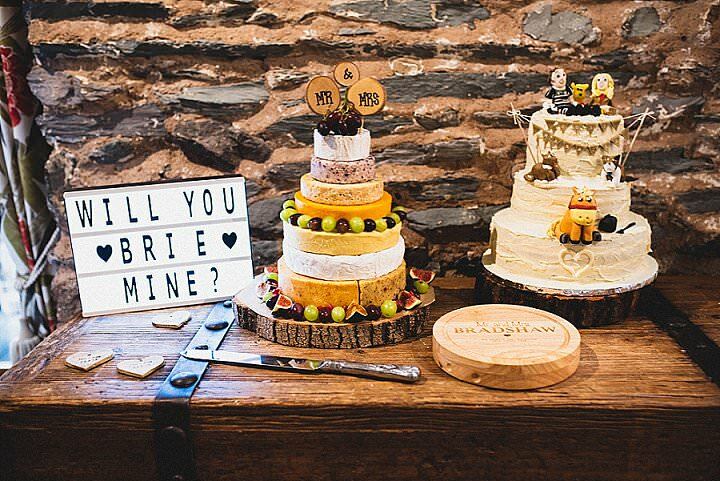 Barony castle provided us with the wedding breakfast which included pate or a ceasar salad for the starter, beef or sea trout for the main, and chocolate orange tort or banoffee pie. The meal was really delicious! A bit of a homage to my French roots – we had a croquembouche supplied by Barony Castle! One of our guests actually thought it was a tower of potatoes!! The quarterfinal match of England vs. Croatia started playing at 3pm and our ceremony was at 2pm so it was a rush to take all the pictures before the game started! The boys were busy watching the game until 5pm so they were well entertained… And thankfully England won the game. DJ Donny Hughes provided the entertainment for the evening celebrations. Ally wanted to spare a few trees for the wedding invites so she used Greenvelope to send all the save the dates and invites. 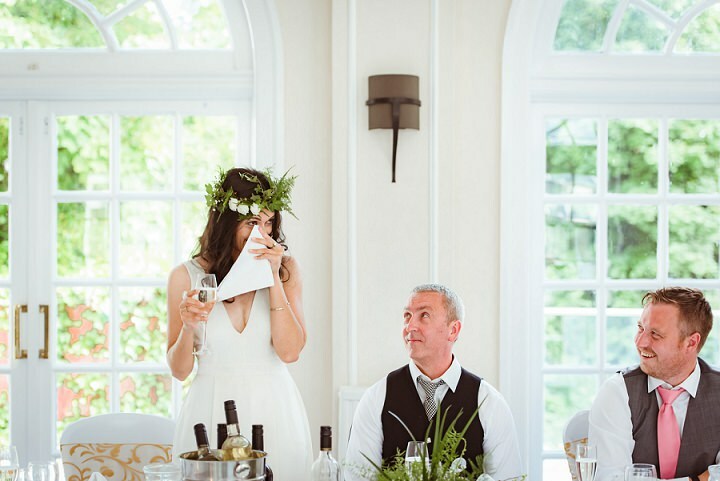 It is a website that sends virtual invitations and helps track all the guests’ rsvps. Guests really seemed to enjoy the virtual cards sent to them! 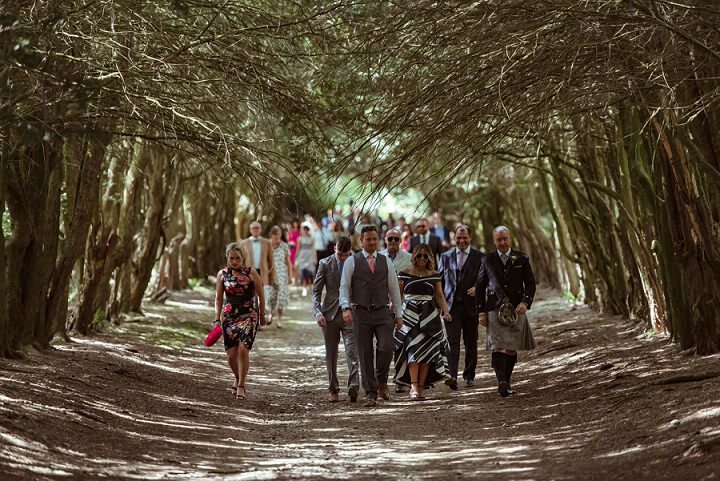 Barony Castle provided the rest of the stationery for the wedding venue. Ally handwrote all the placecards for the trestle reception table. 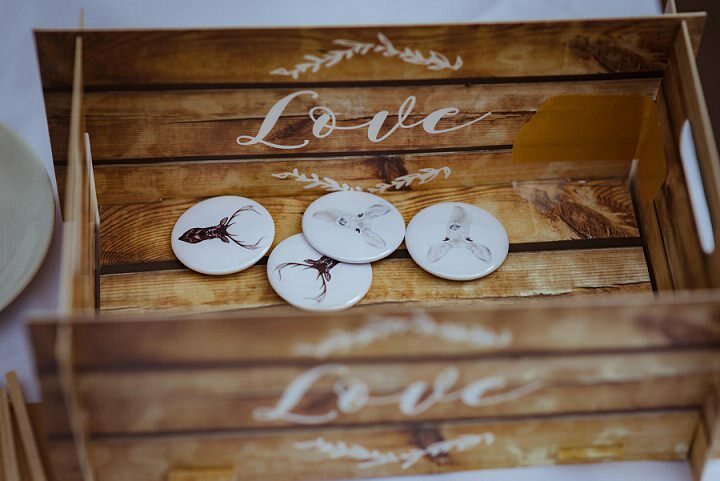 She also put together the welcome bags for the guests which included little bottles of Scottish whisky with homemade labels, shortbread that had been baked a couple of days before, homemade first aid kits with mints, ibuprofen, indigestion tablets and plasters. 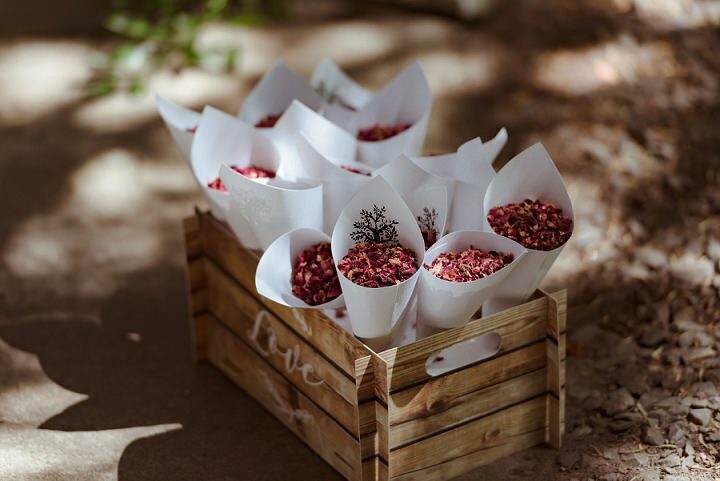 Ally’s friends and flower girl helped her put them all together the day before the wedding as well as all the confetti cones – she had purchased all the confetti and made the cones herself. The ceremony was so special and touching. 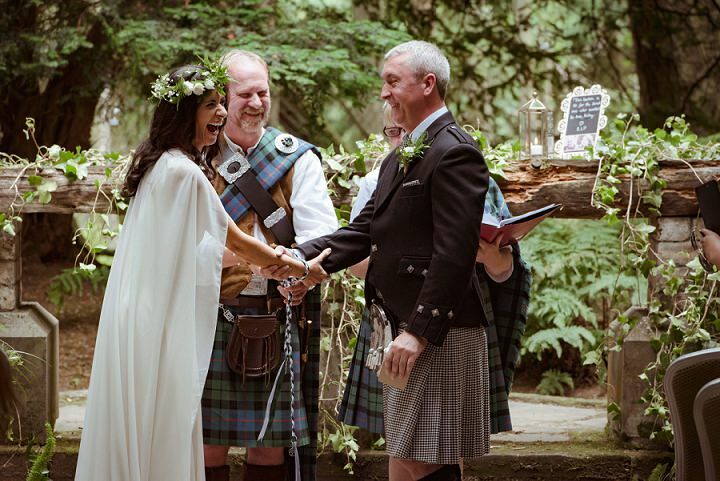 It mentioned the people that couldn’t be there (like Ally’s mom) and the vows were heart-warming. The funniest moment during the ceremony was when Dave cried out “King of the North” making everyone laugh. We also shared our cuaich (filled with honey mead) with all our guests as a way to share our love and friendship with them. We felt so supported and loved the whole day. Plus England won its game against Croatia that day so that was a bonus for celebration! We also had karaoke for people to sing and it was a great highlight to have people sing. Pick an inspiration and stick to it. Dave let Ally plan the whole thing because he just wanted her to be happy and it kept Ally’s mind busy during her recovery from her broken leg. Also remember that although it is an important day, you have to try to let the little things go and keep your sense of humour! How nervous we were and how emotional the whole day was. Also the sun shone the whole day – it was a beautiful summer day! Nature smiled on us that day. 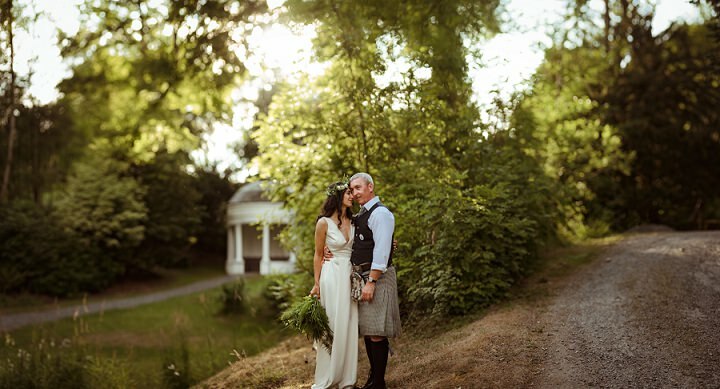 I’m a wedding photographer based in Glasgow Scotland, available throughout the UK. I just like creating timeless and creative images and helping people have a good time. That’s it in a nutshell really! 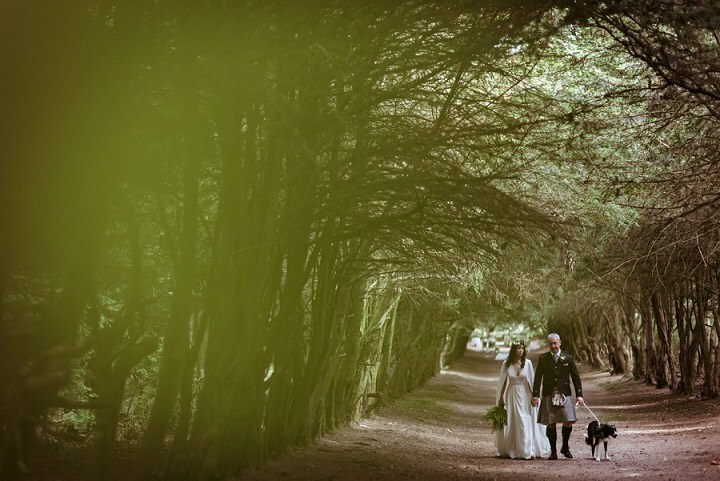 What an amazing day, pictures look beautiful. 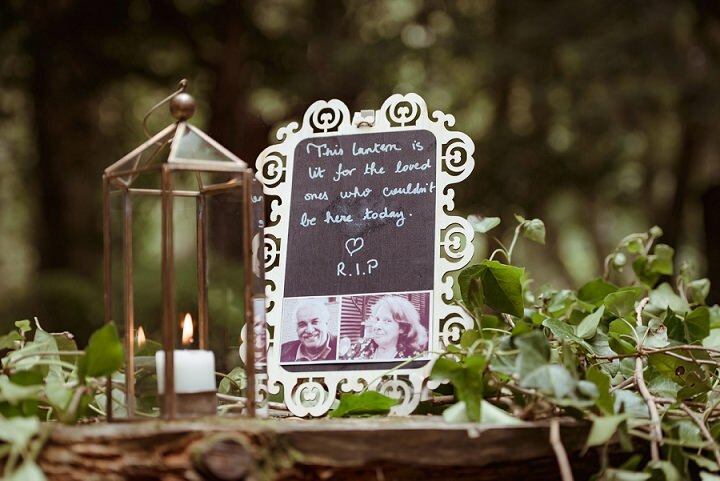 the woodland theme is just amazing. That was my wedding. Beautiful in all ways especially the photo’s – but just to point out to my football challenged wife, England did NOT win that day! On the upside, our Croatian in-laws (my Daughter in law and her parents) were very happy! Clearly I was drunker than I thought – we did indeed win that day!